Triathlete training requires an incredibly intense regimen. The challenge: to harmoniously employ many bones, muscles and connective tissues. Enhance your client’s workout with training techniques for pain-free, triathlete training. 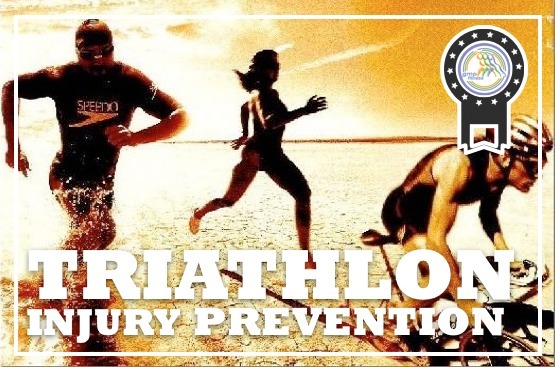 This step-by-step Specialist Course will assist you to help clients feel confident in their ability to start participating in triathlons and feel more competent in how to approach, prepare for and perform in triathlons. Elevate Your Business … This Speciality Certificate Credential will help you expand your marketability to individuals who want to compete in triathlons. Gain a basic understanding of joint movement. Understand the science of fitness and nutrition associated with a triathlon. Learn proper training for triathlon cycling, swimming and running. Discover why the lower back muscles can be the source of triathlete ailments ranging from sciatica to hip pain or burning pain in lower extremities. Recognize the nutrition needs of triathletes. Review an athletes history and goals. Explain in detail what to do according to your current fitness level and according to the triathlon’s distance. Teach clients to train for endurance, train specifically and rest and recover sufficiently. Get information about staying healthy, preparing for the race, what to expect on race day. Find out about swim training and technique. Obtain information about 8 rules that are established principles and proven methods. Acquire advice on nutrition, training, equipment, how to transition and more. Learn examples of different training techniques and drills. Discover the answer on why orthotics can enhance performance and efficiency. Learn how proper exercise can help prevent injury. Respect the importance of heart rate monitoring. Provide the triathlete with hydration suggestions. ✓ 35 question online true/false and multiple/choice final exam.